The distinctive formula acts as potent moisturizer, improving skin hydration. 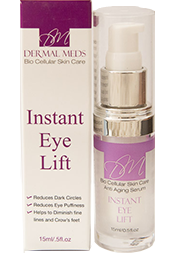 Helps with skin brightening and reduction in appearance of wrinkles, fine lines, dark circles and puffiness. strength & quality of the skin barrier. Helps improve quality of the skin barrier to prevent premature aging. Works at a cellular level to strengthen the dermal matrix.